Casino Cruise has plenty of games, bonuses and promotions to offer to those who sign up for an account. However, in order to benefit from all these things one would have to begin by signing up for a real money account. The process is straightforward and in a matter of minutes anyone can fulfill the Casino Cruise sign up and start playing their games. In the upper right side of the homepage, players will find the Sign-up Button. The Casino cruise registration process begins the moment they take on this button and a sign up window opens. Players are expected to choose a username, a valid email address and select a password that consists of both letters and numbers. When this initial step is complete, the second one commences, with more info to fill. During the second step, players are expected to select their gender, reveal their complete name and country of residence. They are also supposed to enter a phone number and select their currency of choice. These are all very important details, so make sure you enter the correct data, since it will be verified later. Proof of identity and address isn’t requested during the Casino cruise registration but when players make the first withdrawal. This is all it takes to become a member of this casino and enjoy the games and bonuses reserved to its members. 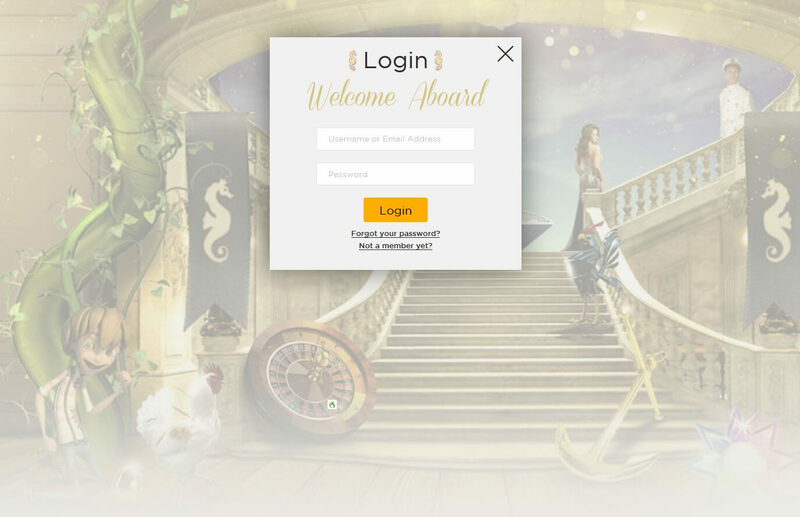 Members can access their account immediately after the registration process has completed by clicking on the Casino cruise login button. Easy as it was to sign up for an account, it is even easier to log in since you only need to enter the name and password. On the off chance that you don’t remember either, you can retrieve them by having them sent to the email address used for registration.